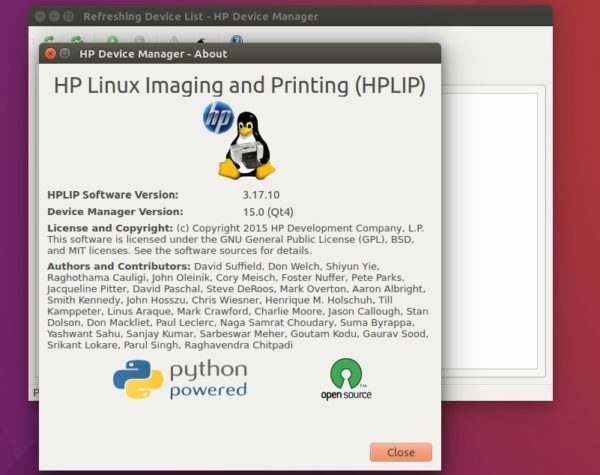 HPLIP, an open-source HP developed Linux drivers for HP printers, has reached the 3.17.10 release. Two new scanners and Debian 9.1 are supported in the release. Then follow the terminal outputs, answer some questions to build and install HPLIP on your system. When everything is done, plug/re-plug your printers and enjoy! HPLIP-3.17.10 (hp-toolbox) can’t start/stop the printer and hangs when I close the window.